My Munchin, called him monkey daddy called him monkey. he has plenty of toys of monkey. 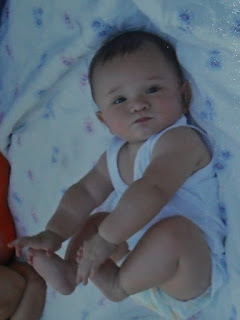 My son, the picture on the top he was about 5 months old taken on the PH. his 1st vacation was not very fun at all. it was his first time. I am so glad I still have those photos. was reminding by his dad that every year I took some photos of my little boy because time fly fast he would be grow up really fast. And here is it. time is flying he is in school now. having a baby is very happy and rewarding. I just advising those new mom just enjoy the time everyday with your baby they grow up fast.